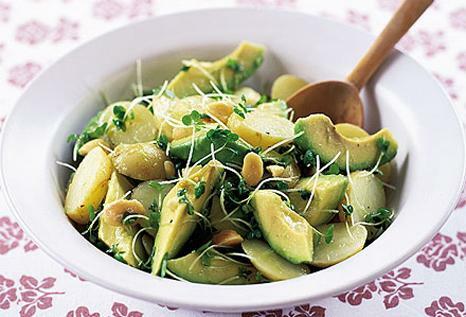 A hearty dish that can be served either as a salad or a side dish. Cut the potatoes into thick strips and boil for 20 minutes. Drain. Mix the oil with the lemon juice, salt and pepper in a bowl. Pour the mix over the hot potatoes and let cool.